What came first the Easter Egg or the Bunny? I know the answer! It was the egg :) I used this plastic Easter Egg as the basic shape that I wanted to make my bunny and the rest just evolved from there! Read me ~> Have any questions or if you come across a mistake in the pattern please leave a message in the comment section below. 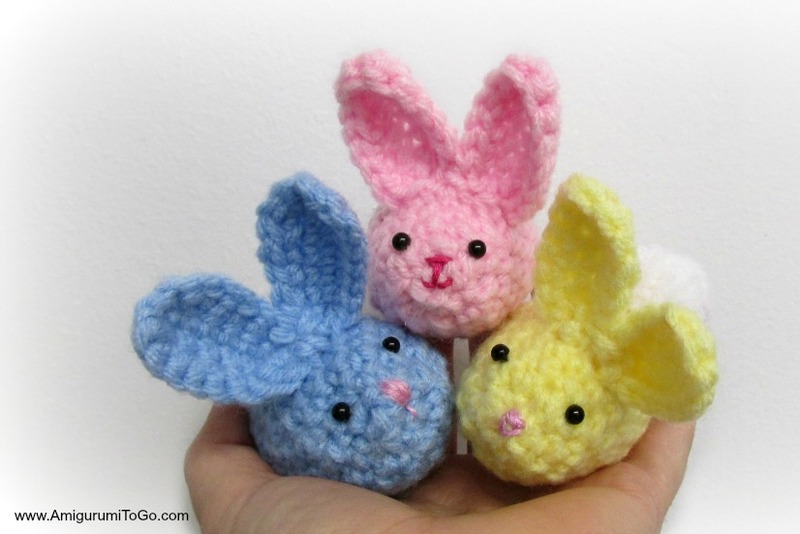 The regular bunnies were crocheted with a 3.75mm hook and Red Heart Super Saver yarn of different colors. I used comfort yarn as well. 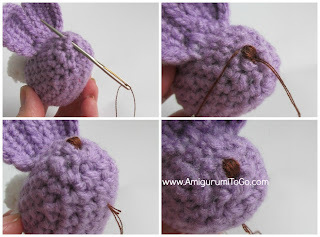 Whip stitch in a mouth and nose with thread or embroidery thread or yarn. I also think they are just as cute without a face but the choice is yours and there's many things you could do with the face. 12) 1sc in next 5st then 2tog (12) *start stuffing the bunny. Stuff it full and firm, shape the bunny as you stuff. 13) 1sc the 2tog (8) *stuff more as needed. Make sure you are going to be happy with how the head looks before finishing off this row. 14) 2tog twice then f/o leaving a long tail for sewing. 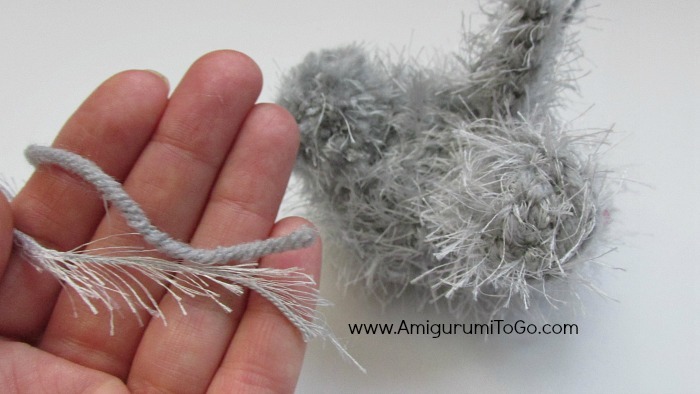 Using a yarn needle, neatly weave in and out of the remaining stitches, pull tight to close the gap and neatly knot off then hide the yarn tail inside the body. 2) 1sc across the chain then continue around the other side into the outer loops (12) *work the the starting yarn tail into the row once you start the other side of the chain. Arrows below are pointing to the outer loops of the other side of the chain. 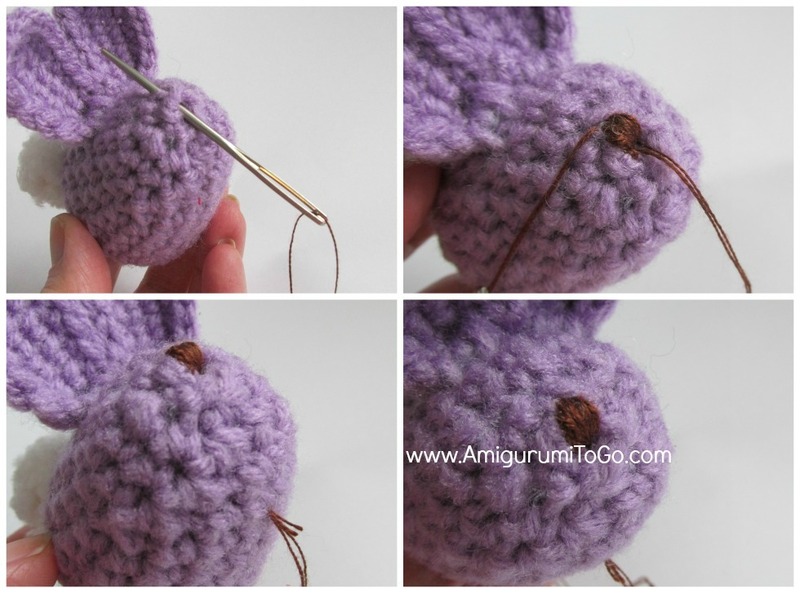 4) You will only use up a few stitches of this row. 1sc in next 3st, sl st next st and f/o leaving a long tail for sewing then weave the yarn tail in and out the next few stitches along the one side of the ear, knot it off at the bottom. You can put 1sc in each st to the bottom of the ear then f/o but it does make the ear more "cupped".. so it's up to you. The distance between the ears is up to you. In the photos above I sewed the ears together then sewed them to the body. The bunny below has a bit of a distance between the ears. It looks good either way I think. 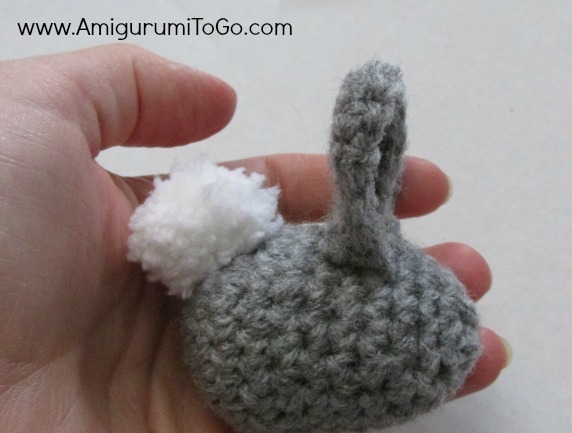 Tail: with white make a pom pom or you could buy a pre-made pom pom too! But I do have a video tutorial on how to make a pom pom with your fingers and it's pretty easy so check out the video right here. 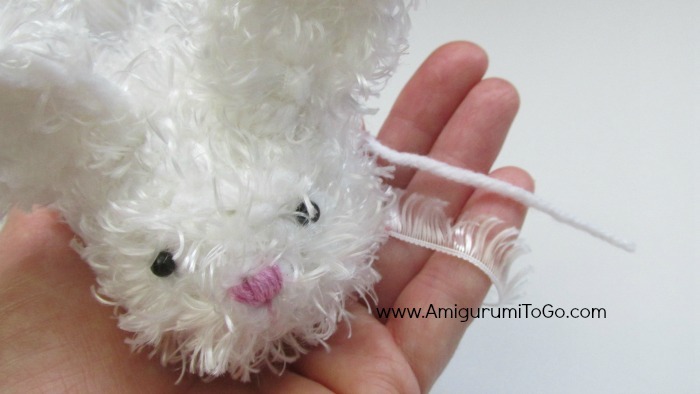 I wrapped my fingers about 50 times to make the pom poms for the bunny in this pattern. 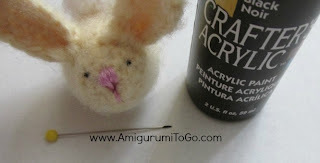 And make sure to have a good length yarn tail to sew the pom pom to your bunny. These larger bunnies do tend to roll about more and you can fix that by adding feet. I love this so quick and easy. Adorable!! Thank you for sharing! I like this very much. I already made the first one, and there will be many moore.This is a very nice Easter gift for my grandchildren. Thank´s for shearing it with all of us. 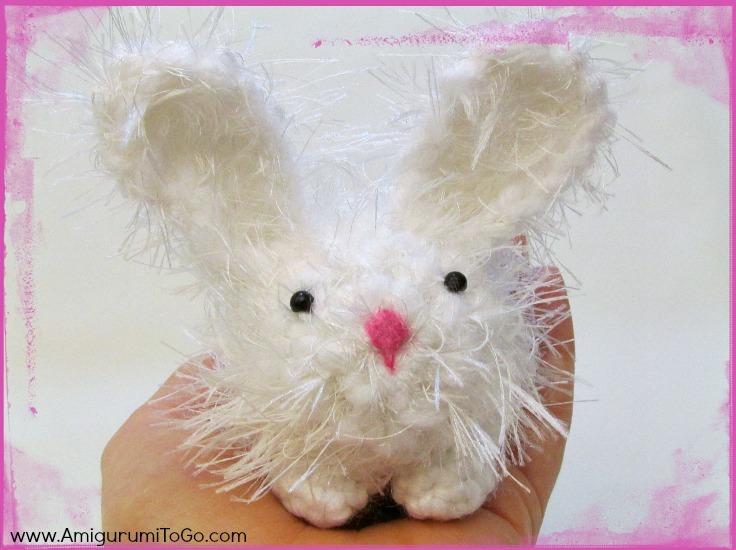 These egg bunnies are cute and real fun for children at Easter. Thanks for the pattern with clear photo's. Thank you very much for your free patterns and tutorials. Concise and clear, and very good! You are so talented. Thank you so much for sharing this with us. Do come out with more beautiful patterns.